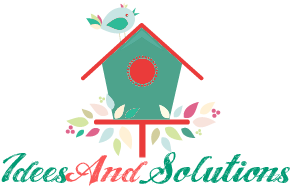 Here we have a lovely DIY Christmas project that presents how to make mini Christmas trees as original gifts or cute decorations. Directions: Paint the pine cone green and let dry. 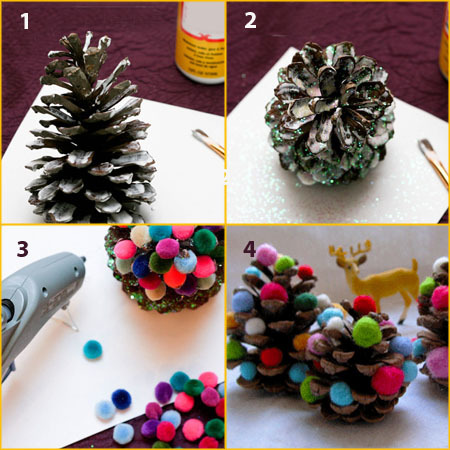 Apply glue on the edge of each pine cone spine and then sprinkle the glitter that you chose. 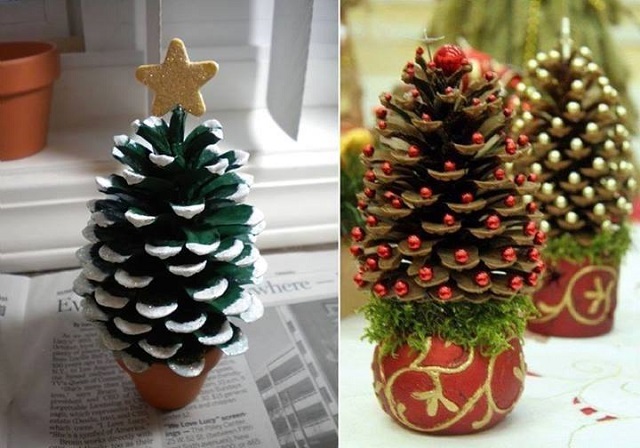 Let the glue and glitter dry then hot glue the pine cone to the pot and glue the pretty star on top of the pine cone. To render the idea of snow you can also use some white paint and some glitter. 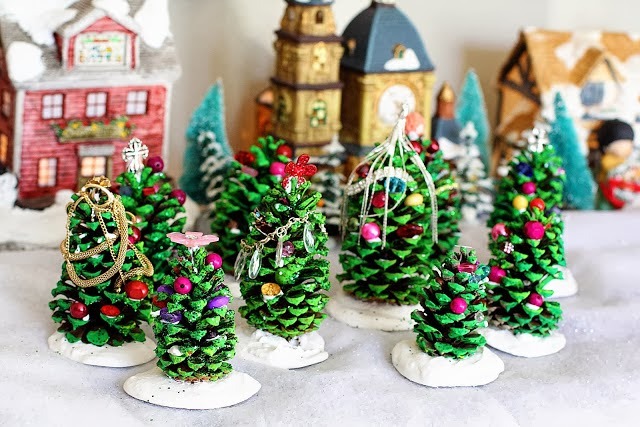 You can add Christmas decorations on the pine cone tree by attaching various little beads. Enjoy!